What is the value in an AmeriSpec Home Inspection? 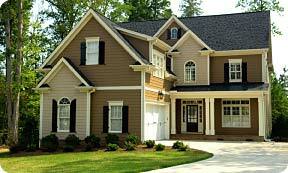 It's crucial that you make your offer on a property contingent on the results of the home inspection. If the home inspection uncovers a major problem with the property, you can withdraw your offer without penalty. At AmeriSpec Home Inspection, we methodically examine the home to evaluate its complete physical state, using cutting edge technology to provide the most comprehensive inspection service available. 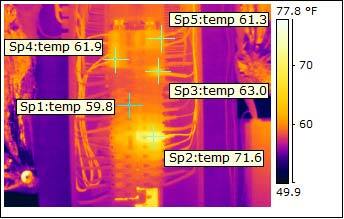 Unlike other inspectors, we provide Infrared Scanning on every inspection. Infrared Scanning is recommended by the Department of Energy as the single most comprehensive tool for diagnosing a residence or commercial building's features, systems and components. You will have our report promptly within 24 hours, giving you ample opportunity to evaluate the results within your contractual window of time. You can then negotiate any repairs or replacements disclosed in our reports with confidence. Why wouldn't you insist on an Infrared Inspector? AmeriSpec's Infrared Technology used during a home or building inspection offers the most advanced, in-depth, and informative inspection available. What is infrared technology? 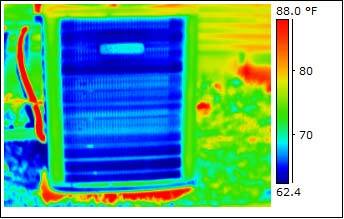 Infrared Inspections or Thermography Inspections involve using an infrared camera to "see" and "measure" thermal energy emitted from an object. This non-destructive inspection process can help locate problems in walls and openings before they become a serious issue. 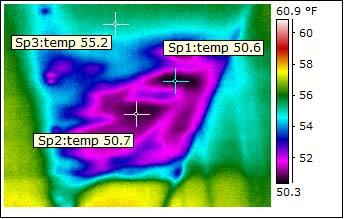 An infrared camera can detect missing or insufficient insulation in an enclosed wall. It can also detect a leaking roof or window before physical evidence manifests itself in the interior of a home. 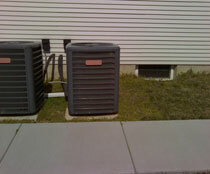 Locating these problems before they become serious issues can save time, energy, and money. 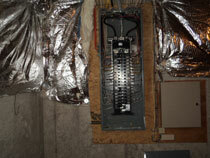 Our clients are truly amazed by the benefits provided by an Infrared Home and Building Inspection. Once a home buyer or investor experiences our services, there is no chance they will return to the "peek and poke" flashlight inspections of the past. Although Infrared technology is not yet required in a standard inspection, we at AmeriSpec feel it is absolutely essential, since nearly 2 out of every 3 homes have concerns that wouldn't be identified without the use of infrared technology. 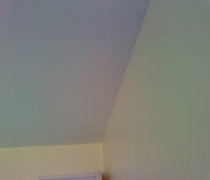 Missing Insulation in a ceiling.